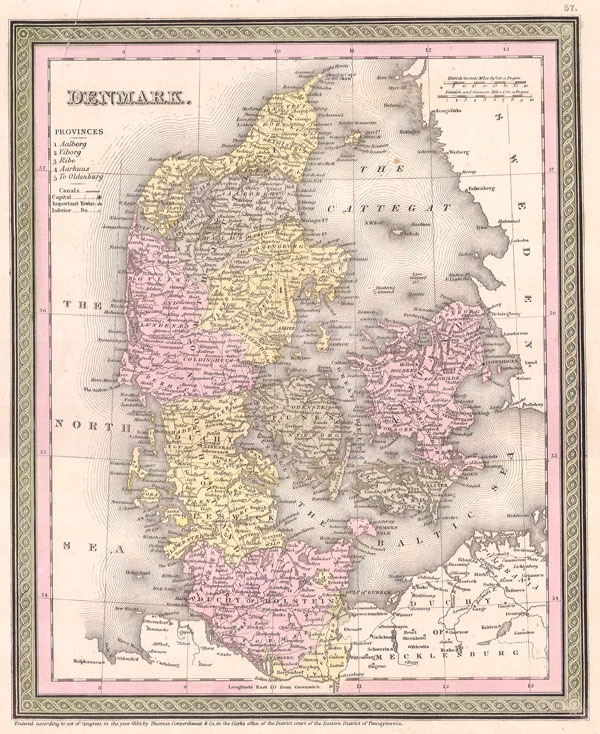 A fine example S. A. Mitchell Senior's 1850 map of Denmark. Shows cities, roadways, rail lines, canals, and some topographical features. Color coded according to province, including the Duchy of Holstein. Includes parts of adjacent Sweden and Germany. Dated and copyrighted 1850. Very good. Overall toning. Blank on verso.